A wrecked, old, damaged motorcycle is nothing but a piece of junk in one corner of the house. If you are looking forward to making cash for junk motorcycles you can sell it. Keeping your used motorcycle for long does not dig up any benefit for you. When you own a motorcycle it costs you a lot of money even if you are not using it. You must contact motorcycle buyers who can offer you a decent price for your junk motorcycle. Do not limit yourself to the local motorcycle buyers to sell a motorcycle fast. The best way to sell a motorcycle fast in no time is to The Bike Buyers. Why you can sell a motorcycle “fast” to The Bike Buyers? Location won’t be a problem if you are anywhere in the USA, we help you sell a motorcycle fast anywhere across the states. You can contact us from anywhere in the USA as we have more than 350 offices across the country. You will receive an instant quote upon filling the get a quote form, and that would be the best quote you will get from anywhere. Once you accept that quote your work is done. Of course, you are looking to get some cash for junk motorcycles fast, so we can schedule a pick up the day after you accept the quote. 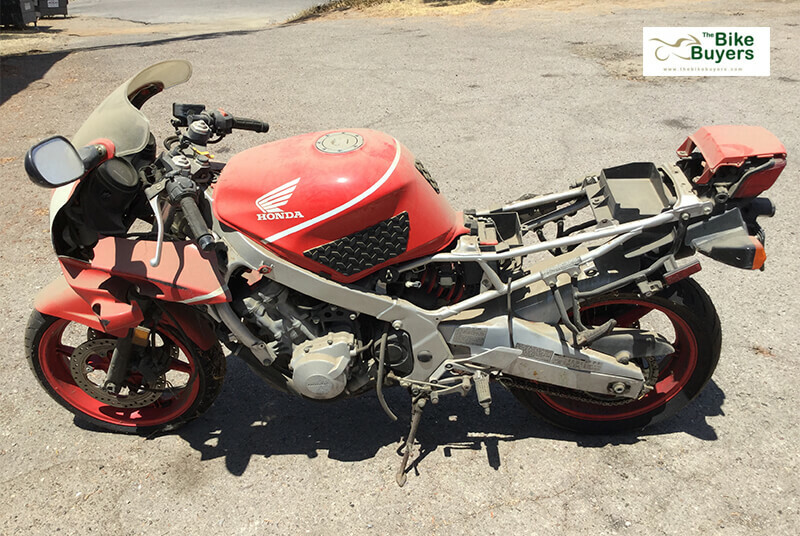 We offer free towing for your junk motorcycle, we will pay you cash upon pick up and that is how you get to sell a motorcycle fast in a matter of a couple of days. We have around the junk selling and buying industry for more than 25 years. We know why you want to sell a motorcycle fast and that is why we have processed out the simple process. You do not have to hassle or worry at all because our executives are experienced and they will guide you to through the process of getting cash for junk motorcycles. It saves you a lot of time and extra cost by selling it to us. The process of selling would be very smooth and convenient. Whenever you feel like getting cash for junk motorcycles you own, contact us. We make sure its done quickly with no hassles, fair business, and top cash. No matter where you are in the US we will provide you with top-notch service and help you sell a motorcycle fast in no time.